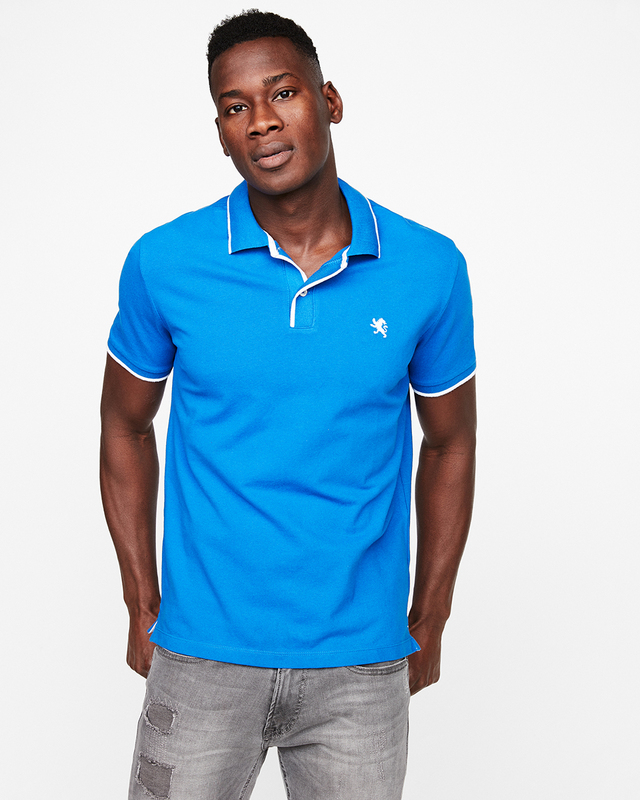 Whether you’re heading to the grocery store, the office, or out to dinner, a slim-cut polo shirt is always a good idea. Comfortable yet polished, elegant but masculine, affordable and machine washable, it checks pretty much all of the boxes. We keep a range of colors and styles in our collection no matter what time of year it is for just this reason. We’re especially into styles with a little bit of stretch for comfort and tipping on the collar and sleeves for a graphic, modern look. Stock a spectrum of Express polos in your closet and you’ll have an endless number of solid outfits to reach for no matter what’s on the agenda. Unless you work in a conservative office or industry, chances are you don’t have to wear a suit to work every day. But you want to! Why? Because you look darn good in one. 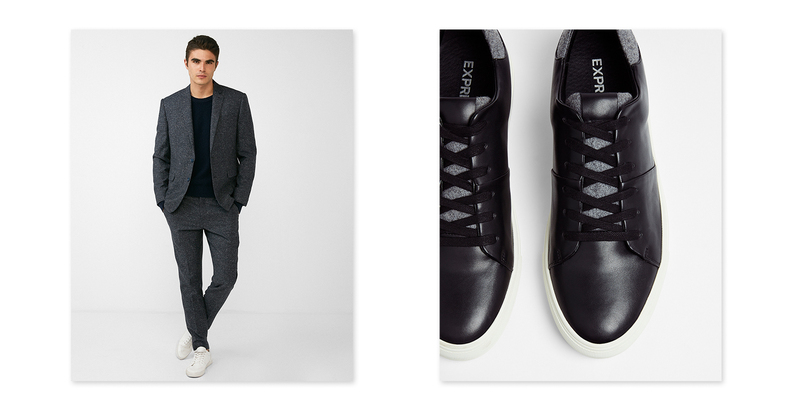 To rock a suit without coming off as overdressed, just style it with sportier add-ons. Trade your shirt and tie out for a polo shirt and your dress shoes out for streamlined sneakers. This look also works for all of those spring events you have coming up: your brother’s graduation, Father’s Day brunch, your big company offsite, and anything else that involves you standing on grass, making small talk with strangers. Hey, if you have to go, you might as well look good. If you’re museum-hopping and ramen-slurping with friends, heading out of town with your significant other, or just reading in a café alone (in that cute waitress’s section), not all off-duty outfits are about sweats and sneakers. 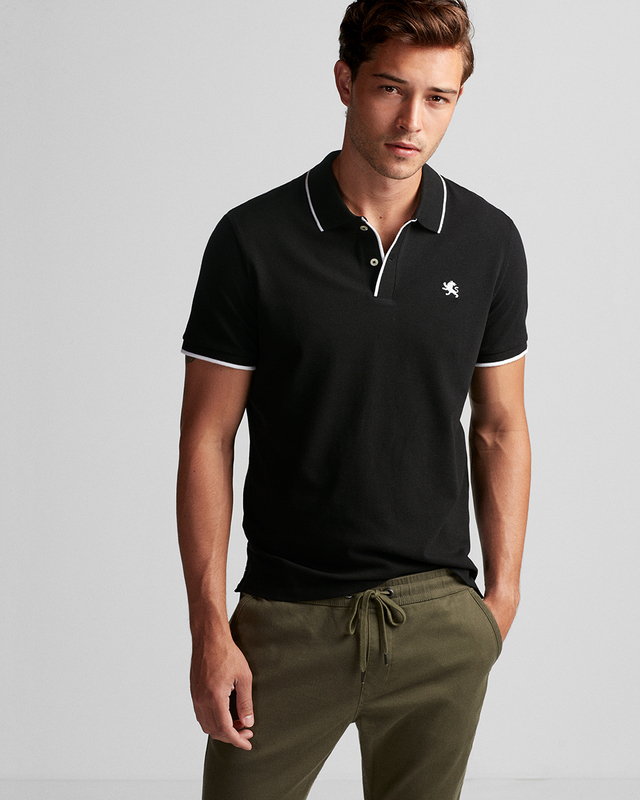 If you want to look polished but still stay comfortable, it’s chinos or slim cargo pants and a polo shirt FTW. Throw a denim jacket on top and bright white sneakers on your feet and you’re the epitome of top-notch weekend style. We’ll even allow a baseball cap if you want to dress things down a bit further—just as long as it’s crisp and clean. 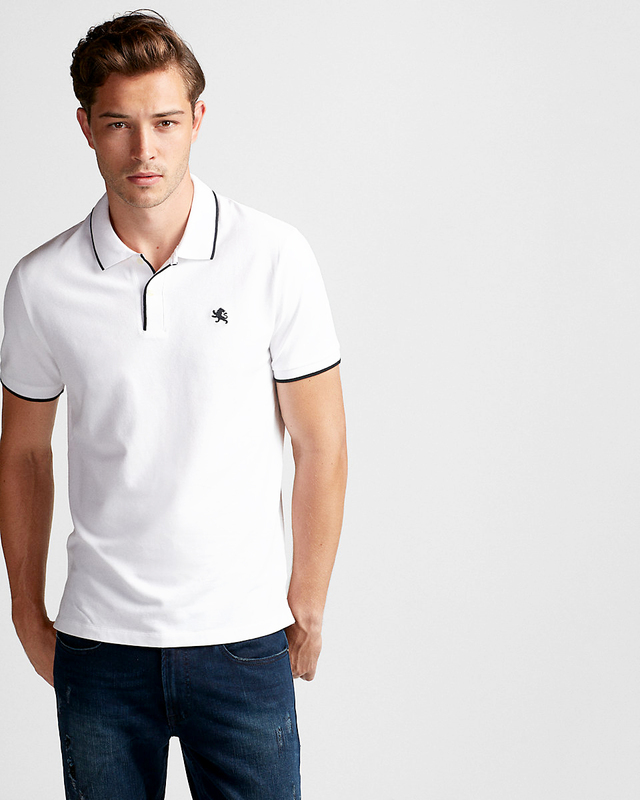 The polo shirt is sporty, but we draw the line at sweat stains. And when your weekend agenda does involve sweatpants, a polo shirt is still a great move. It dresses up joggers just enough to make them errand-friendly without feeling out of place with fleece. 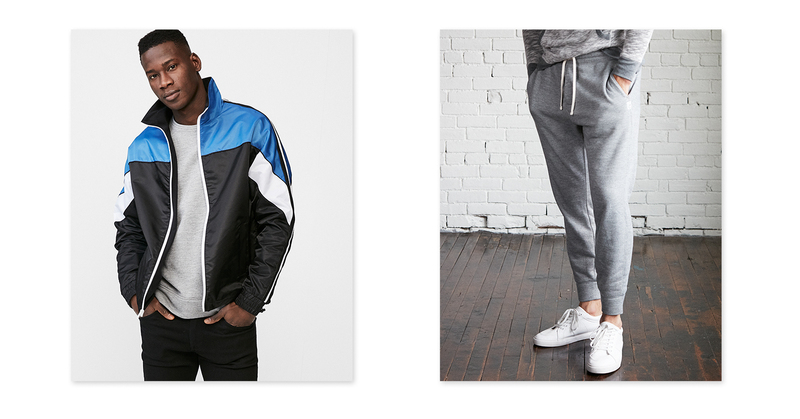 Finish the look with sneakers and an equally sporty jacket—we’re all about the ’90s windbreaker right now—and you’re couch-nap comfortable in brunch friendly attire. This is also your chance to go bright with the polo; neutrals are great for suited-up moments, but sweats call for energetic colors. Think bright blue, purple, and red.